Design is the process of collecting ideas, and aesthetically arranging and implementing them, guided by certain principles for a specific purpose..
DIGITAL SIGNATURE?? Why I use?? Where from I got?? A Digital Signature Certificate authenticates your identity electronically. It also provides you with a high level of security for your online transactions..
What is SEO? How to do SEO? It is the process of getting traffic from the “free,” “organic,” “editorial” or “natural” search results on search engines. Are you searching professional services(ROC / ITR/ HR Adminsitration) company? We specialize in developing dynamic database-driven E-Commerce Portals, the most cost-effective way of promoting your business online. Our ecommerce solutions are the most effective online selling tools due to intuitively designed UI, fast loading speed & one step checkout that gives an exclusive shopping experience. 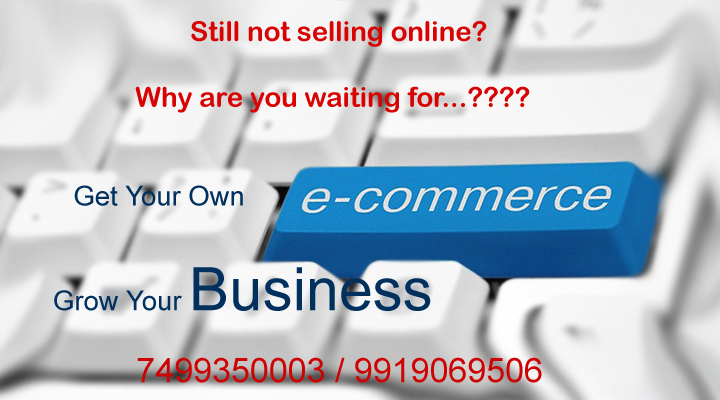 E-commerce is the latest trend for selling your products and services across the web. With the availability of online payment gateway, online integration with shipping companies like UPS etc., inventory management, online support, global reach. 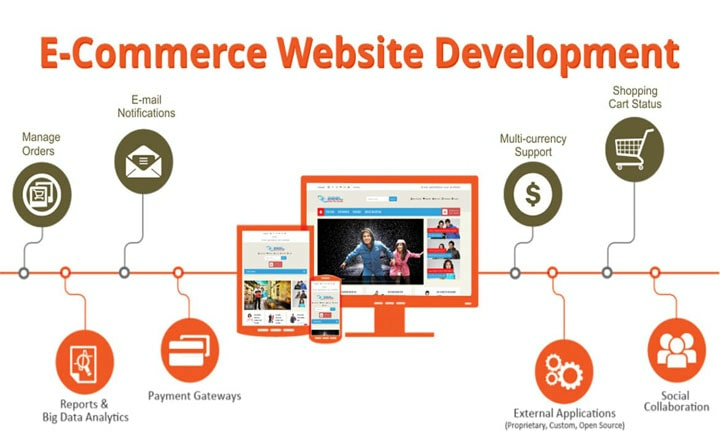 To achieve this, we have a team of expert Ecommerce developers skilled with modern tools and techniques having expertise knowledge in Shaping Cart, Shopping carts & E-commerce Portals. If you have a great idea we have the platform for building websites. You do not need to do the planning. We are here to do all the planning for you. Simply share your wireframe and outline your goals. We will help you to implement the development of your project instantly. India's First GST Ready Business ERP Software that is suitable to support almost every kind of business. If you are a Retailer / Wholesaler / Distributor / Manufacturer / Accountant / CA / Broker / Commission Agent, this software is for you. Specialized for any kind of business be it a Supermarket, Mobile Shops / Computers / Electronics / FMCG Dealers / Automobile / Spare Parts / Book Shops, Bakeries, Grain Market, Pesticides, Fertilizer, Seeds, Invertor/ Battery, Bags, Bakeries, Sweet Shops, Electrical goods, Kitchenware, Gift houses, RO Filters, Jewellery, Grain Market Commission Agents. 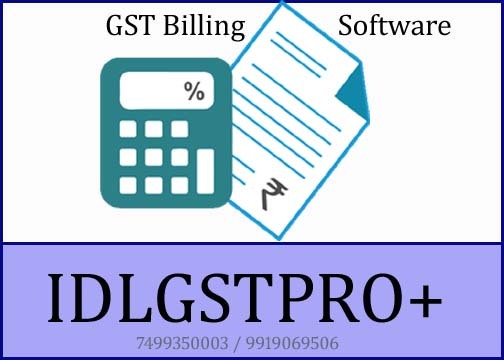 Almost every kind of business can be managed using IDLGSTpro+ 8.0 GST Software. 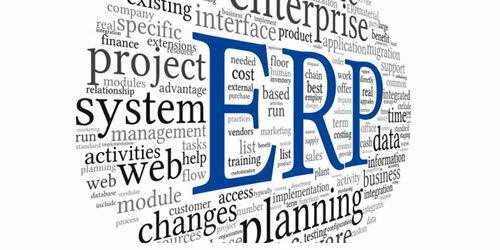 A Complete Business ERP Software that caters to every need of modern day business tycoons. Richly featured with Accurate Accounting, Powerful Stock Managment, Barcode Printing, GST Billing To Reporting, Multiple User designable Bill Formats, SMS Plugin / Email / EBill Facility, Label Printing, Cheque Printing, SMS Plugin, Multi Company management, Automatic Backup and highly protected with User Rights Management. 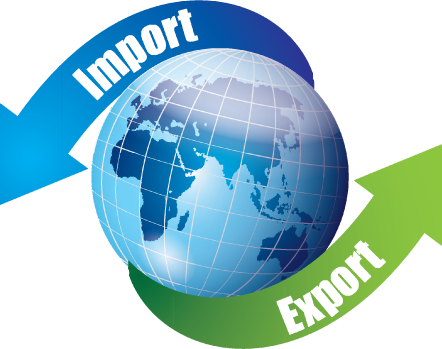 Excel Import / Export feature gives the user an option to switch from any software to IDLGSTpro+8.0 Software. Implementing Speed Plus software is quite easy. No Accounts or computer training required, no experience required. Anyone with knowledge of basic computer operations can operate it very comfortably. Download IDLGSTpro+8.0 software and start using. Free Garment shop billing software specially designed for cloth retailers, cloth stores & showroom. System allows you to manage the customer transactions, general ledger and manage the stock effectively. POP ready free retail shop billing Software solve all your issues of managing the shop. IDLGSTPro+ software is simple to use and rich UI can be used effectively any garment shop or showroom and there is no need for any training. Automate your business with zero hidden fees & demo software is free. Digital Signature Certificate (DSC) is essential for companies and organizations that take part or intend to take part in eTendering processes on various Government sites. If a organisation going to apply for any Government eTender needs to have a Class 3 Digital Signature Certificate registered in the name of a representative who is authorised to submit online offers for e-Tendering applications. DSC is mandatory for e-tendering system. Department/Unit does not issue DSC to vendors. DSC may be obtained from any certifying agencies(CA) recognized by Govt. of India . Our service provider also issues DSC and their application form is available in the home page. DSC is of different classes, viz. Class I, II or III with validity of 1 year or more. 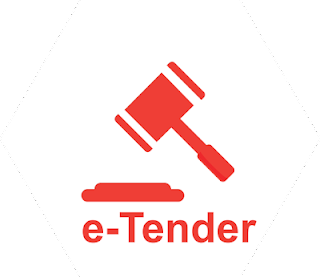 This e-tender system works with Class II or higher DSC. DSC comes generally in e-tokens(similar to pen drives) along with a driver CD. DSC comes in a pair of Signing/verification and encryption/decryption certificate. You should have both the Signing/verification and Encryption/Decryption certificate for Signing and encryption, decryption purpose respectively. The driver needs to be installed once, without which the DSC will not be recognized. While participating on eTendering the DSC token should be connected to your system. Our all-in-one platform gives you everything you need to run your business. Wheather you are just getting started or are an established brand, our powerful team help you to grow your business. Track of your inventory any time. describes a type of application software that records and processes accounting transactions within functional modules such as accounts payable, accounts receivable, general ledger, payroll, and trial balance. It functions as an accounting information system. It may be developed in-house by the organization using it, may be purchased from a third party, or may be a combination of a third-party application software package with local modifications. Accounting software may be on-line based, accessed anywhere at any time with any device which is Internet enabled, or may be desktop based. It varies greatly in its complexity and cost. The market has been undergoing considerable consolidation since the mid-1990s, with many suppliers ceasing to trade or being bought by larger groups. Bulk SMS mobility services have transformed communication and taken it to an all new level. This has opened up vibrant new vistas for the mass communication industry through mobile phones. With technological advancements and the increasing accessibility of mobile phones, sending bulk SMS is an easy way to reach people without spending too much money. 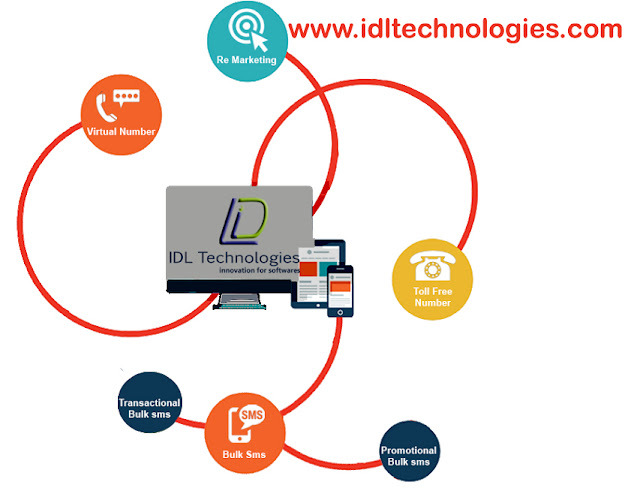 Idltechnologies is India’s number one SMS marketing service provider and they provide numerous options to stay in touch with your customers, employees and other significant targeted audience. We help you create a buzz in the market, making it much easier than other traditional means. We help you to redefine archetypes and revamp your SMS campaign with SMS marketing. In India, the concept of sending bulk SMS is becoming popular day by day. BulkSMS services help to send tips, service messages, alerts, reminders and other forms of communication to the customers across a wide geographical area. We use state of the art BulkSMS software that is easy to use. An SMS plugin can be installed to your Microsoft Excel sheet and you can send SMS right from your computer. BulkSMS marketing services are growing in popularity because of its easy reach to the nooks and crannies of the country. We help you realize that you are just a click away from your customers and we assist you with details on the effective use of these advanced tools. We have enhanced SMS servers capable of withstanding heavy loads and hence your SMS never fails because of a busy server, which enables you to send bulk SMS simultaneously with ease. However, receiving freebulk SMS is forbidden on certain numbers registered with the Do Not Disturb registry of TRAI. We have smart filters that stay clear from sendingSMS to such numbers, thereby helping you avoid complications. We steer away from unethical practices and are thoroughly professional. With the help of our SMSmarketing services you can very quickly contact your customers wherever they be within the nation, be it Mumbai, Chennai, Bangalore, Hyderabad, Punjab, Noida, Gurgaon or elsewhere. Corporate companies enjoy huge benefits through our bulkSMS services in India. We provide ideal solutions to expand small businesses and firms into larger ones. A huge number of companies have seen tremendous growth in business by the response they get from the customers. The bulk SMS software that we have is designed in such a way as to serve the communication needs of all kinds of industry, by helping them stay in touch with their customers and associates constantly. 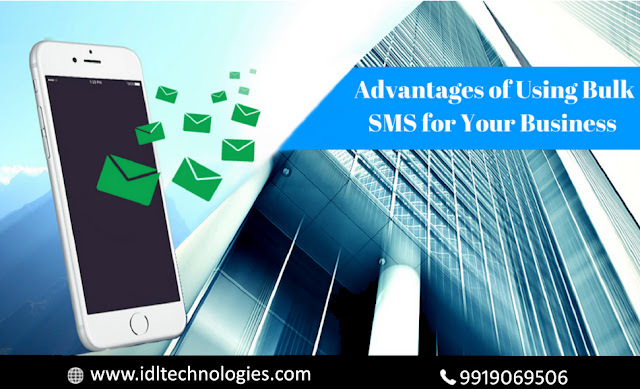 Though there are a number of companies offering SMS software download, they provide partial results and you can hardly achieve the desired results due to several hidden handicaps. Our policies are completely transparent and our services are efficient to satisfy the varied needs of customers. Our bulk SMS software makes managing the database easier and ensures improved productivity after the integration of our bulkSMS into your corporate culture. Wherever in India your customer is, our services carry your messages to them. We boast of the widest coverage and are the best service providers for SMS marketing. We believe in ethical practice and follow it precisely. With our SMS marketing services you can gain complete control of fastest communications whenever you desire to contact your customers located at Mumbai , Bangalore , Chennai , Punjab , Hyderabad , noida , gurgaon . Corporate companies gain huge benefits with our bulk SMS services in India. Our expertise in the area of #IT solutions is well known & recognised. Our severe adherence to international quality standards on #web, best quality #services, creative designs, practical ideas, cost-effective and economical prices, time bound & speedy project completion strategies, user-friendly & easy to surf web presence . 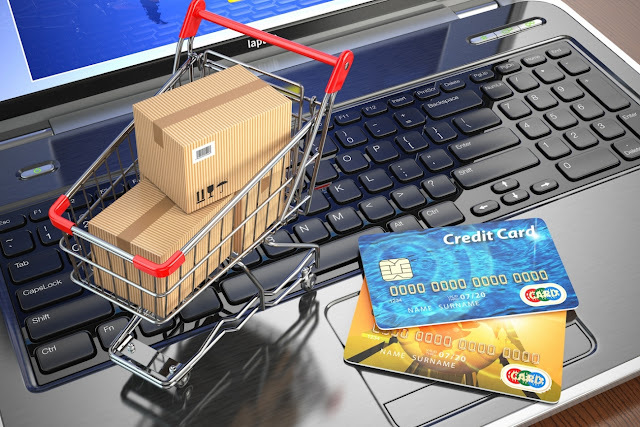 In the United States, the Federal Trade Commission (FTC) and the Payment Card Industry (PCI) Security Standards Council are among the primary agencies that regulate e-commerce activities. The FTC monitors activities such as online advertising, content marketing and customer privacy, while the PCI Council develops standards and rules including PCI-DSS compliance that outlines procedures for proper handling and storage of consumers' financial data.In the United States, the Federal Trade Commission (FTC) and the Payment Card Industry (PCI) Security Standards Council are among the primary agencies that regulate e-commerce activities. The FTC monitors activities such as online advertising, content marketing and customer privacy, while the PCI Council develops standards and rules including PCI-DSS compliance that outlines procedures for proper handling and storage of consumers' financial data. A Digital Signature Certificate is essential for companies and organizations that take part or intend to take part in e-Tendering processes on various Government sites.DSC also ensure greater security in other online transactions. 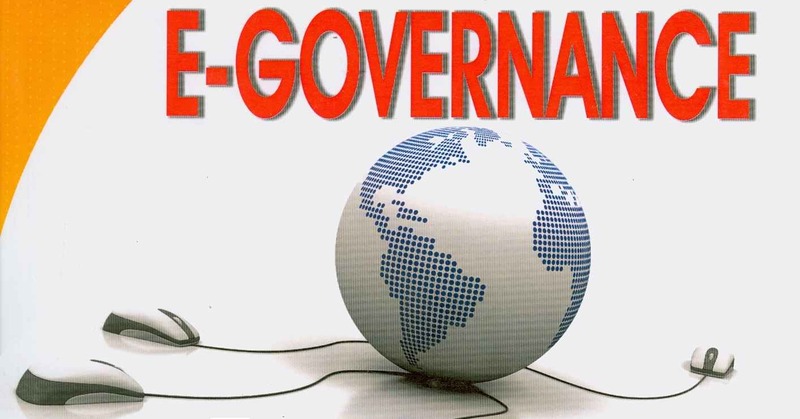 e-governance is the application of information and communication technology for delivering government services, exchange of information communication transactions. MCA21, e-filing, IRCTC, DGFT etc are already using the DSC. A Digital Signature Certificate lets you file your Tax Returns easier and more secure. Use of a DSC is mandatory for e-filing by a certain section of businesses, families, and individuals to ensure the security and confidentiality of the documents. Export and Import Organisations can apply for licenses online which means that they can also file accompanying documents electronically on the DGFT website. Digital Signature Certificate is mandatory to ensures authenticity of the documents. Test #1: Offer just one product or service on your home page. Do you sell a number of products or services on your website? If so, I'd strongly recommend you test whether or not this is the best strategy for you. We've found that offering fewer products in one place with more copy describing those products always translates into higher sales. Test #2: Reposition your opt-in offer to boost your opt-ins and build a bigger list of loyal subscribers. Your opt-in offer is your tool for gathering your customers' e-mail addresses and building your e-mail list, which allows you to regularly keep in touch with your subscribers, build relationships of trust and loyalty, and sell them your products or services. If you don't use a long sales letter, test placing your opt-in offer in as prominent a position as possible on your home page--the top left of a page is where visitors' eyes are often drawn first. At the very least, test placing your opt-in in the "top fold" of your home page--the area of screen first visible to a visitor before they scroll down the page. If you have a long sales letter, you should test placing your opt-in offer within your second "page" of text--after you've grabbed your visitors' attention by identifying a problem they have and established your credibility by impressing them with your credentials, experience and glowing testimonials from happy customers. You should also test placing your opt-in offer on every page of your site so it's always in front of your visitors, and try placing it in a "hover ad" (see below). The more sign-up opportunities you provide, the more subscribers you're likely to get. Test it and see. Test #3: Add impact to yourpromotions with hover ads. I'm sure everyone's familiar with pop-ups: They're the small windows containing a special offer or other information that sometimes "pop up" when you visit a website. Love 'em or hate 'em, pop-ups have been a very useful, online marketing tool for years. However, because a percentage of internet users disliked them, Google, AOL, Netscape and others developed pop-up blocking software to combat them. Of course, internet users should be able to choose whether or not they want to view pop-ups. However, much of this software automatically blocked pop-ups, meaning visitors to a site started missing out on valuable information that could benefit them. But that was before we discovered a very impressive technology that actually lets you use ads that behave like pop-ups but that aren't pop-ups--so they don't get blocked. They're called hover ads, and they're well worth testing on your site. In fact, when we tested adding a hover ad to our site, sales increased by 162 percent! These ads are effective because they put important information, such as your opt-in offer or a special limited-time promotion, right in front of your targeted visitors. You can test placing your opt-in offer in your hover ad to see if that boosts subscription numbers. When we did this, 86 percent more people subscribed to our newsletter. You can also test how many more people click through to a special offer page on your site through a hover ad vs. through a regular link on your home page. Test #4: Feature different benefits in your headline. Your headline has a huge impact on your sales. It's often the first thing visitors to your site see so it must grab their attention and compel them to read your sales letter. A successful headline should highlight a problem your target audience faces and stress the main benefit of your product or service in solving this problem. Let's look at an example that illustrates how a headline can be changed for maximum impact. One of our clients was using the following headline on his site: "Box4Blox--The Amazing Toy Storage Box For Lego." The problem with this headline is that it tells you what the product is, but not what it does for you. It doesn't give a visitor any good reason to continue reading the rest of the page. Contrast that one with this: "Finally! Discover the Secret That's Got More Than 50,000 LEGO-Crazy Kids Worldwide Actually LOVING Clean-Up Time!" This headline presents a major benefit of the product and a solution to a problem--in this case, how to get kids to clean up after themselves and actually enjoy it. Once the problem is established, you can then begin introducing your product or service as the solution to this problem. By emphasizing exactly how your product or service will solve your reader's problem, you're guaranteed to see a boost in sales. Test #6: Add credibility to your copy--and enhance your visitors' trust in you. It's vital that your sales copy establishes your credibility: It's through this process that your visitors come to trust you and feel comfortable enough to buy from you. There are several ways you can do this effectively and we'll talk about two of the quickest and easiest ones here. If you're not already using these techniques, revamp your copy and test it against what you're using now. You'll be surprised by the difference. One of the best ways to establish your credibility is to include customer testimonials in your sales letter. These should be excerpts from genuine e-mails or letters from customers expressing how your product or service helped solve the particular problem they faced. This last point is important: A customer testimonial that states how your product benefited them is much more effective than one that just says something like, "Your product is great!" You can also enhance your credibility by adding a section to your copy that outlines your credentials, experience and any background information that makes you qualified to solve your target audience's problem. Your aim should be to effectively convince readers that you are the best person to offer them a solution to their problem. Test #7: Focus on your site visitors--not yourself. The most successful sales copy focuses on the reader. Too often, business owners neglect this simple golden rule. Look carefully at your sales copy. Is it filled with references to "I," "me" and "we"? Instead of using sentences like "I designed my time-management software with the busy homeowner in mind," try "Your new time-management software will free up hours of time for you to spend with your family." So try searching for "I," "me" and "our" in your sales copy and replace them with "you" and "your." · Offer a limited-time price discount where visitors must buy before a certain date in order to qualify for the discount. · Offer additional bonuses for free if visitors buy within a certain time frame. · Offer only a limited quantity of your products or services. · Offer a limited quantity bonus. Test #9: Remove any references to "buying" from the top fold.People usually go online looking for free information. If you start your sales pitch too early in your copy, you may end up losing them before you've had the chance to hook them. You first need to get them interested in what you have to say by relating to a problem they're facing--as I outlined in Test #5 --and how you can solve it. Once you've accomplished that, you can start to sell to them. Here's an easy way to improve the tone of your sales letter: Try removing references to "buying," "cost" and "sale" from the top fold, and compare the results to the copy you're using now. Remember, don't mention anything to do with making a purchase or spending money until after your reader is interested in your product and trusts you enough to buy from you. Test #10: Boost your product's desirability by adding images. Images of your products make them seem more tangible and "real" to your visitors and are a powerful sales tool. But sometimes revealing what the product is too early in the sales process can kill the sale--you may need to highlight the product benefits and value before you reveal exactly what it is. Test placing images near the top of the page vs. placing them near the call to action at the bottom (where you're asking for the sale). You should also test adding images to your order page, and test the response to using no images at all. By carefully analyzing sales during each test, you'll learn exactly where to place product images for maximum impact. Test #11: Grab the attention of "scanners" by changing the formatting and appearance of your copy. Very few visitors to your site will read every word of your sales copy from start to finish. Most will "scan" your copy as they scroll down the page, reading only certain words and phrases that jump out at them or catch their eye. Test #12: Fine-tune your follow-up process to maximize sales and attract more repeat business. Following up with your customers and subscribers using auto responders (automated e-mails) is crucial to generating more sales as it often takes several contacts before someone buys from your site. In your follow-up e-mails to new subscribers who haven't bought from you yet, you can restate your offer and ask for the sale again. Try sending an immediate follow-up after new subscribers sign up, giving them a reason to return to your site the same day they subscribe. You can test this against sending a follow-up three days after subscribers first visit your site to see which method works best. Following up with existing customers is just as important. In fact, tests show that 30 percent of customers will buy again if they're given the chance. It helps you develop profitable, long-term relationships with them and allows you to offer "backend" products relating to their original purchase. You can test sending a backend offer immediately after they make a purchase against sending one three days afterwards to see which approach generates more repeat business. When testing your site, it's vital to test just one thing at a time so you know exactly which change influenced the results. A method of testing known as "split testing" does just that. It allows you to split your audience into two groups and test, for example, one headline with one group and another headline with the second group--both at exactly the same time. It's an ideal testing strategy for any online business, but especially for newer websites with less traffic, as it provides an excellent method for generating accurate test results no matter your level of traffic. Let's look at an example to illustrate how this works. If you want to test elements of your sales letter, you need to use your top performing sales letter as a "control"--a benchmark against which all tests will be measured. To test a new headline, for example, you need to create another web page that's identical to your top performing one but which includes the new headline. Using special testing software, you then redirect half your customers to the old page and the other half to the new one--over exactly the same time period. For example, if you have two customers named Bob and Jane, testing software ensures that Bob sees sales letter "A" at the same time Jane sees sales letter "B"--both on the same URL. Your other customers are likewise split evenly between the two different sales letters. If you discover--through tracking how many visitors go to each page and how many sales each page makes--that the sales letter containing the new headline converts 15 percent more visitors into sales, you know that the new headline is more effective. Then you can test other elements of the sales letter one at a time and gradually fine-tune your sales process. The software gives you the great advantage of testing the two different letters over the same time period. If you instead test one headline over a few weeks, then the other headline over the next few weeks, what if one of those test periods includes a major holiday like July 4th, while the other doesn't? Or what if a major TV event happens during one test period but not the other? Both of these factors could significantly skew your results if they resulted in fewer people being online during one of your tests. · WebTrends 7 offers a range of testing services for a one-time cost or monthly fee, and you can road-test their services for free. WebTrends 7 also allows you to go beyond split-testing and start testing a few different things at one time. You can analyze exactly which combination of elements (for example, a particular headline and opt-in offer placement combination) works best. · Like WebTrends 7, Offermatica allows you to conduct split testing and multivariable testing. Pricing is based on a per-visitor fee, and you can try their services out first through their free demo. · ClickTracks allows you to track the response to your tests and understand where your visitors come from, as well as how they travel through your site. You can try their products for free, then pay a one-time or monthly fee depending on your needs. 2. Click the EXISTING USER LOGIN button. 4. In the Password field, type the password. 5. In the Type the characters you see in the image below field, type the captcha text as shown on the screen. 6. Click the LOGIN button. 7. The Welcome page is displayed. Click the CONTINUE button. 8. The Dashboard is displayed. Click the Dashboard > Register / Update DSC command. 9. The Register Digital Signature Certificate page is displayed. In the PAN of Authorized Signatory drop-down list, select the PAN of the authorized Signatory that you want to update. 10. Click the UPDATE button. 11. Click the CONTINUE button. 12. Select the certificate. Click the Sign button. A successful message that "DSC has been successfully updated" is displayed. How do I get a Digital Signature?